Do you remember the scene in The Sound of Music when Julie Andrews sang The Hills Are Alive? Well, that’s what I felt like doing when Ian and I visited the top of Notre Vue Estate Winery & Vineyards. 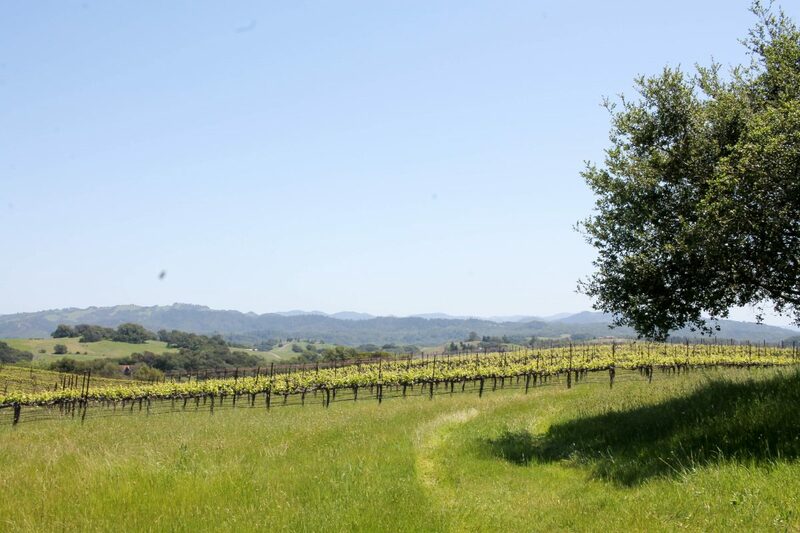 Sitting on 710 acres in Sonoma County, the property is gorgeous; I think my jaw dropped a bit when we first pulled in. 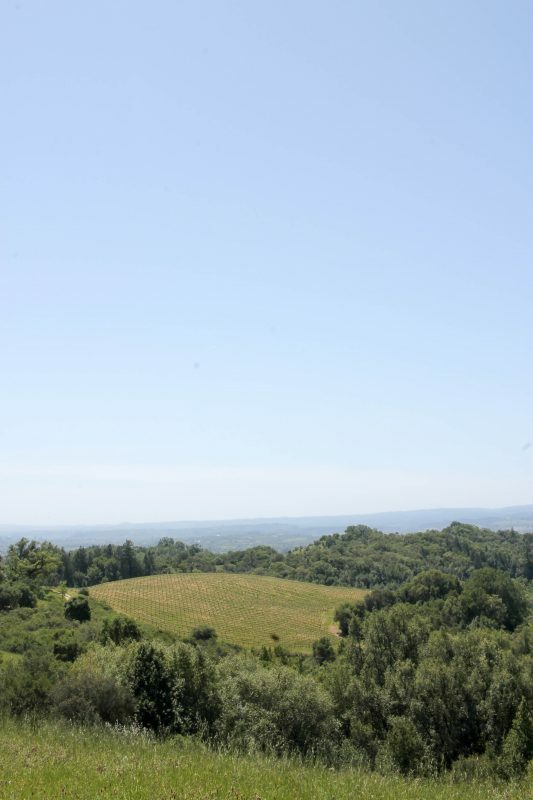 Chalk Hill, a sub-region of Russian River Valley is known for its chalky white ash soil. “It’s volcanic in origin, not actual chalk, despite the appearance of a bright cut in a small hill along Chalk Hill Road bearing a pair of signs that announce, “Chalk Hill”—it’s volcanic tuff,” according to Sonoma County. Chalk Hill is a bit warmer compared to Russian River Valley because it is elevated above the fog line. 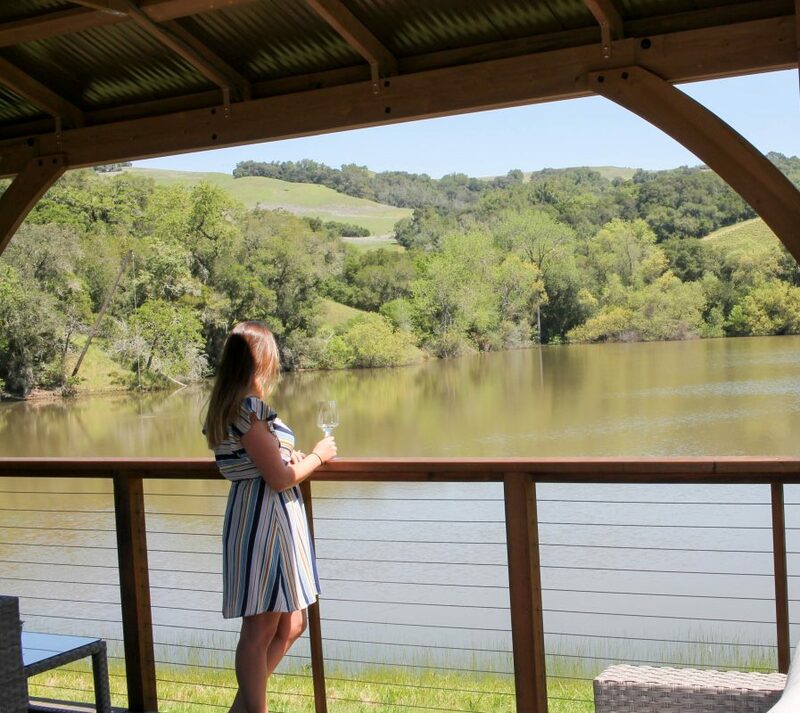 Even if you are not a wine expert, you have probably heard of the Russian River Valley. 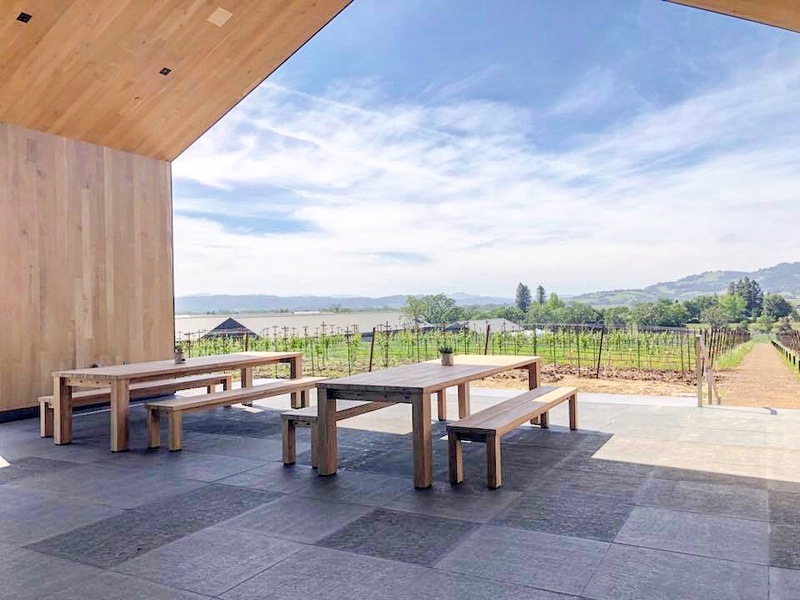 Cool climate grapes are typically grown in Russian River Valley, so you will find a lot of Chardonnay, Pinot Noir, and Zinfandel in the area. The cool climate comes from the fog, which is due to the proximity to the Pacific Ocean. 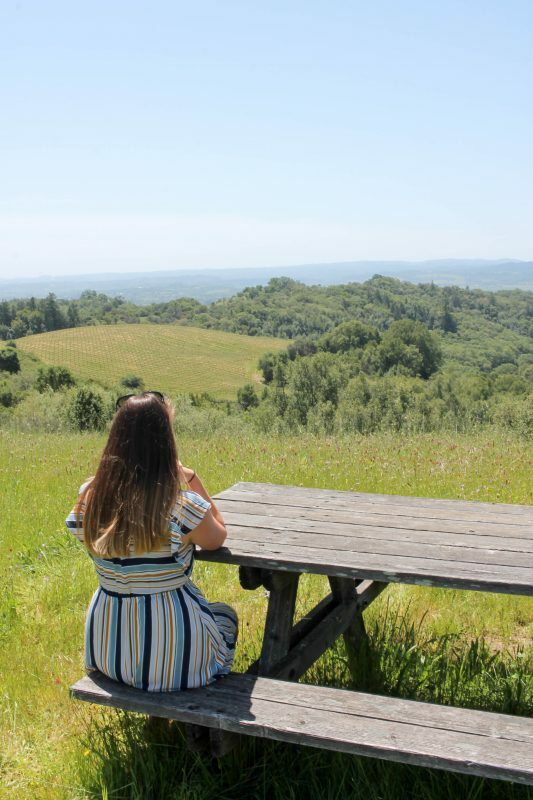 Since Notre Vue Estate Winery & Vineyards is located within both the Russian River Valley and Chalk Hill, they get the best of both worlds, which makes for a more complex wine. They are certified as a sustainable grower and they handcraft small quantities of their own wines under the Notre Vue Estate and Balverne Reserve labels. Our tasting was amazing. We had the opportunity to chat with the winemaker, Michael Westrick and one of the owners, Bob Stein. We even had the opportunity to ride up to the top of the vineyard for an amazing view. 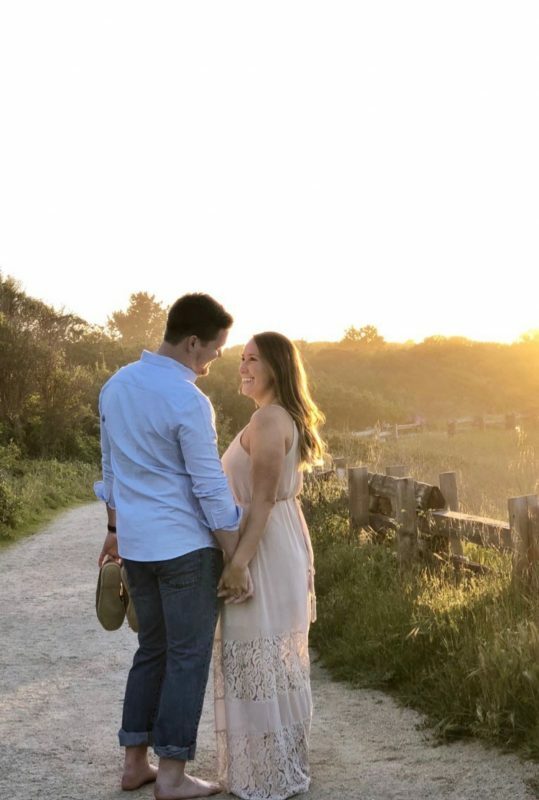 It was so beautiful and we learned so much – everything was flawless. I cannot wait to visit Notre Vue Estate Winery & Vineyards again when I head back to Sonoma County (soon, I hope! ), and I highly recommend that you give them a visit, as well. We were hosted by Notre Vue Estate Winery & Vineyards during our time in Sonoma County, but all opinions are my own.